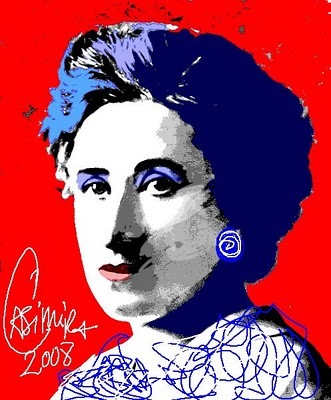 The aim of this chapter is to show that Rosa Luxemburg’s analysis of capitalist accumulation is framed within a ‘circuitist’ macroeconomic reading of capitalism as a monetary production economy. The strengths and limits of her approach are to be found elsewhere than suggested by usual criticisms, especially those advocated by Marxist authors. Rosa Luxemburg cannot be reduced to the uncertain theoretical status of an ‘under-consumptionist’. On the contrary, she presents a clear (although incomplete) picture of the macro-monetary and sequential working of the capitalist process. La libertad sólo para los partidarios del gobierno, sólo para los miembros de un partido, por numerosos que ellos sean, no es libertad. La libertad es siempre libertad para el que piensa diferente. Sinopsis: Con gran rigor histórico, narra un retrato de la líder socialista Rosa Luxemburg, desde fines del siglo XIX hasta su muerte en 1919. El guión de cuatro partes y un prólogo presenta a Rosa durante prisión en Wronke, en 1917. La primera parte retrocede a fines del siglo pasado y comienzos del actual. Rosa Luxemburgo se halla al principio de su carrera como periodista de cuestiones políticas y militante del partido socialista. Más que el éxito profesional, desea ser una mujer al lado de Leo Jogiches, su amante y compañero de lucha. Luego de una breve estadía en Varsovia, adonde acude Rosa para prestar su apoyo a la primera Revolución Rusa, se ve detenida y encarcelada por este motivo, hasta que los compañeros del Partido Socialista alemán obtienen su rescate. En 1906, regresa a Berlín. A partir de ese momento, su historia es narrada en forma cronológica hasta su muerte en enero de 1916. 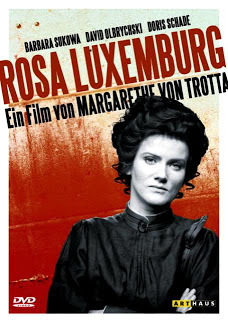 Estas informaciones históricas acerca de la revolucionaria Rosa Luxemburgo constituyen una parte importante en el film. Pero igual importancia posee la descripción del mundo de esta mujer. We are writing to ask you to assist us in the effort to publish the Complete Works of Rosa Luxemburg, which will bring the contributions of one of the most creative thinkers and activists of modern radicalism alive for our times. The 14-volume Complete Works will contain everything Luxemburg ever wrote—all of her books, essays, pamphlets, essays, articles, letters, and manuscripts. Most of these writings—as much as 80 per cent—have never before appeared in English, and some will be published for the first time anywhere. New English translations will be provided for her works that have been published previously. The project is being published by Verso Books with the support of the Rosa Luxemburg Foundation (RLS) in Berlin. Although the RLS has provided important assistance, it cannot provide the full cost of translation and editing. We are therefore appealing to you to help us obtain additional funding to bring this project to fruition. We urgently need $30,000 to fund the next volume in the series (so far we have raised $19,000 towards that goal). Tax-deductible donations can be sent to the newly-established Toledo Translation Fund—named after the twelfth- and thirteenth- century school of translators renowned for its translations from Arabic, Greek and Hebrew texts that helped pave the way for the Renaissance. All funds sent to the Toledo Fund for this project will be exclusively used to cover the cost of translating and publishing The Complete Works of Rosa Luxemburg. We have so far issued (in 2011) a companion volume, The Letters of Rosa Luxemburg, which is the most comprehensive English-language collection of her letters ever published. It received widespread acclaim in such publications as The London Review of Books, The Nation, Atlantic Monthly, The Guardian, and Book Forum. In early 2012 the first volme of the Complete Works will appear, entitled Economic Writings I. It will contain the first full English translation of one of her most important books, Introduction to Political Economy, as well as eight recently discovered manuscripts on the history of ancient, medieval, and early modern societies, Marx’s Capital, and the causes and consequences of capitalist crises. 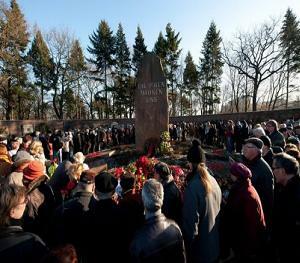 You can make a contribution by going directly to www.toledotranslationfund.org and filling out the online form for donations to The Complete Works of Rosa Luxemburg. Your help will be deeply appreciated! If you are not in the position to contribute financially, we hope you can still collaborate in the project by working on translation, editing, and helping to publicize the forthcoming volumes in the series. We also hope that you can forward this message to others who may be interested in the project.